"What's New" is my bulletin board for showcasing places to go to for food, fun, great deals and more. Each month, as my time permits, I will give you a tour of a new or little-known restaurant, business, or I'll tell you of upcoming events. As always, I'm open to reader input and will consider spotlighting your favorite places. There's a lot of fun to be had in Chesapeake. Let's share all of the best with each other. Along the way, I will be bringing you deals from local businesses. I will not be paid for this service, and I will only be spotlighting what I feel is good for you and for my city, Chesapeake. 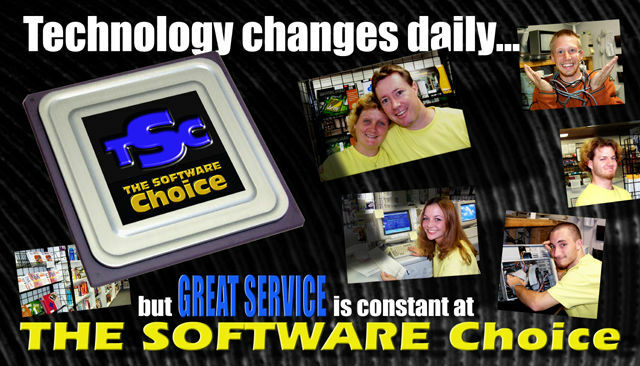 Give THE SOFTWARE CHOICE a try and thank me later! 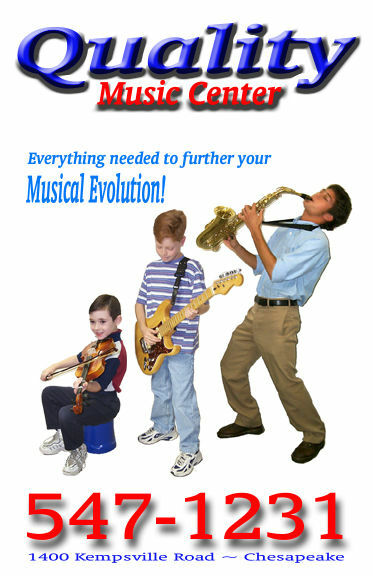 Quality Music Center at 1400 Kempsville Road has a full line of musical instruments for students both young and old. If you go in, talk to Wayne and Janet Hoover and mention my web site, you get the first month rental FREE! This guarantees you the best deal in town on musical instrument rentals...but ear plugs will cost you extra! 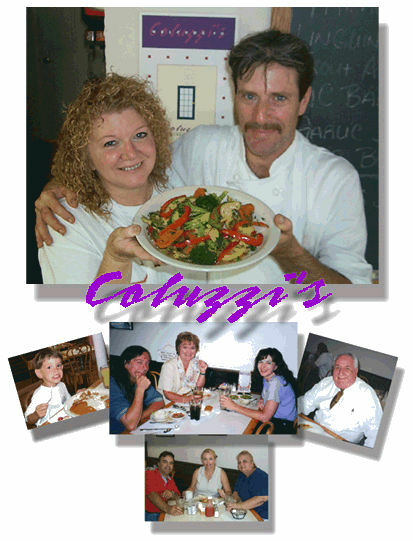 When someone walks through the door of Coluzzi's Bainbridge Grill for the first time, they are surprised not only by the quaint interior and wide variety of meals, but by the friendly atmosphere that is so natural there. When you walk in, it's like a reunion of old friends. Even folks just passing through seem to fit seamlessly. The daily menu consists of more than a dozen selections written on their two large chalkboards. The food is fresh and delicious and you never can tell who might drop in at any moment. Call and check-out the menu at 543-1800 or just go try it for yourself at 3221 Bainbridge Boulevard. Ask Joe and Barbara for the Healthy-Boy Special. Have a suggestion for "What's New?"